Summer is always a fun season for you to brighten up your fashion. You can make it more enjoyable with the best and brightest accessories to complement your look. Meet your perfect summer accessory – The Vera Bradley Handbags in summer 2013 designs. Color your summer with these hot florals and artsy paisleys. This year’s collection includes a range of exciting patterns namely Lilli Bell, Marina Paisley, Sun Valley, and Tutti Frutti. Dance to the beat of summer with the sultry Lilli Bell design. Its bell- shaped flowers in pretty pink and bright orange hues radiate an energetic and vibrant glow. Its fresh green vines outlined on the spotless white background sparks a cooling effect to its overall design. This is a youthful display of artistry, a concrete definition of how great summer is. 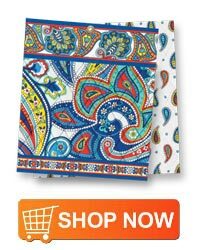 Although this was originally designed and launched for baby merchandise, it works perfectly with many different types of Vera Bradley handbags. Since this is a season of carefree celebrations, accessorizing should take no more than a minute to accomplish. With this pattern, you can complement your office attire with the edgy Barbara Frame bags and look gorgeous in no time. It is a doctor bag-shaped tote that is so easy to carry as it is lightweight. Because it is so roomy, you can easily see everything you place inside it. It is the best office companion. Another style of a handbag where Lilli Bell looks funky on is the mailbag. Show off your funky moves with this stylish crossbody that has a zip-top closure, a front flap with two slip pockets and a spacious interior large enough for an ipad or a notebook. You will find yourself thinking about sailing to the famous oceans for adventure or diving to the world’s colorful sea beds when you get to see the Marina Paisley. This fancy beach-inspired pattern flaunts an array of nautical colors. Waves of rich blue tint curled with freshwater turquoise, crimson red, and yellow on white background are as inviting as it looks. This pattern gives women handbags a solid sense of style. Flaunt it with Hipster and Cassidy bags for everyday use. Hipster bags have quilted layers, adjustable shoulder strap and front slip pocket. It has a floweret accent in front making it fashionably functional. Also, this is an ideal shade for Cassidy bags. It has a neat exterior, two slip pockets and a space enough for a woman’s essentials. This sophisticated piece makes a standout addition to your handbag collections. 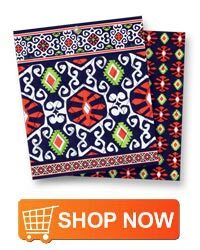 Love this flattering tribal-inspired Sun Valley color. The fusion of warm sunset orange, cool twilight blue and fresh lime green colors give a seductive appeal to this eye-catching design. Whether you’re sun bathing, watching the sun set, or simply dangling your feet off a dock, bags of this color are the best embellishment to complete your overall look. The Sun Valley color goes best with the new Mini Frame Crossbody. It is comfortable to carry without compromising your personal style or fashion. The internal structure comprises of three credit card slots, a slip pocket and a space enough for a lady’s essentials. The removable and adjustable shoulder strap provides a multiple carrying option. A perfect accessory for all occasion, this baby might just be what you’ve been looking for all this time. In the scorching heat of summer, sometimes we just want to tone down our colors and go for soft shades. 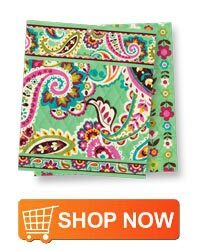 With Vera Bradley, you can go dainty with the all-time favorite – the Tutti Frutti pattern. This pattern is a medley of soft toned pastel paisleys of pink, teal, brown, yellow and citrus hues in a mint green background, a refreshing reminder of the coolest summer fruit drinks. Like Lilli Bell, this soothing color was designed also for Vera Bradley Baby Products. You can never go wrong wearing a tote with his pattern, the newest addition to the hipster style bags, the Saddle Hipster. Lighten up your look with this saddlebag-inspired accessory. With a crossbody with rounded corners, trendy adjustable strap, lovely pushlock button, and pretty pockets, this item is a must-have. The Backpack Baby Bag in Tutti Frutti is as fascinating as it is necessary.Its padded shoulder strap keeps a mother’s hands free to do just anything or nothing at all. It has front zip-down pocket, a mini changing station, a rollout, detachable changing pad and pockets for baby essentials. This carryall is the most basic item among moms because of its functionality and style. Indeed the excellent accessory for summer is no less than women handbags. Whatever adventures you have in mind, these bags add a funky, sophisticated and artsy glow to any outfit; they are the perfect accessory you can sail away with. 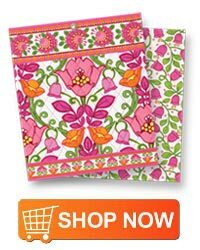 Check out this video preview of Vera Bradley's summer colors for 2013.